From Goodreads: Corlie Roux’s farm life in South Africa is not easy: the Transvaal is beautiful, but it is also a harsh place where the heat can be so intense that the very raindrops sizzle. When her beloved father dies, she is left with a mother who is as devoted to her sons as she is cruel to her daughter. Despite this, Corlie finds solace in her friend, Sipho, and in Africa itself and in the stories she conjures for her brothers. 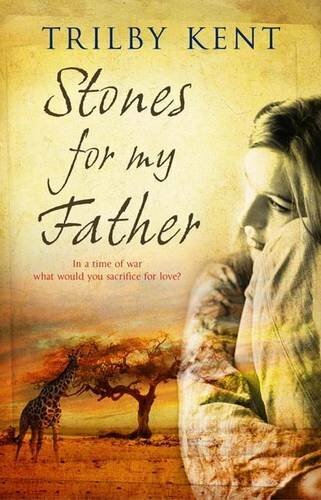 Will Corlie’s resilience and devotion to her country sustain her through the suffering and squalor she finds in the camp at Kroonstad? That may depend on a soldier from faraway Canada and on inner resources Corlie never dreamed she had…. This is a great example of how history can really be brought to life through fiction. I knew nothing about the Boer War before reading this but now feel as if I have a good idea of what it would have been like to have lived through it. I adored Colie. She has a resilience and strength to her that I envy. Her mother is absolutely awful to her but she doesn't let it affect how much she loves her family. I did think there might be an explanation for why her mother behaved in the way she did - and although one was given it wasn't what I thought it was going to be and - in my eyes at least - did not redeem her mother's actions. But at the same time I could see where Corlie got her strength - her mother was a formidable women who knew how to get on and survive even the hardest of circumstances. I also adore Gert and loved his relationship with Corlie. The two obviously loved each other greatly and that was wonderful to read. I also fell head over heels in love with Api! Honestly, how adorable! Corporal Malachi Byrne was an interesting character too - someone who questions what he's doing and I liked the connection that develops between him and Corlie. That something good could come out of all the hatred surrounding her. There is violence and devastation too. Unsurprisingly, much of the hatred and violence did not only come from the enemy but from their own too which is disturbing to read. I admired Trilby Kent for not shying away from this and creating a story that feels real. Devastating, but honest and real. Although this is only around 180 pages it didn't feel like a quick read - I found myself really immersed in the story and would love to read more by this author. I have this one on my pile to read, it sounds like it'll be really interesting!